Archaeologists in northwest China's Shaanxi Province said Sunday that one piece of thigh armor and two pieces of upper-body armor dating back 3,000 years may be the oldest pieces of bronze armor ever unearthed in China. 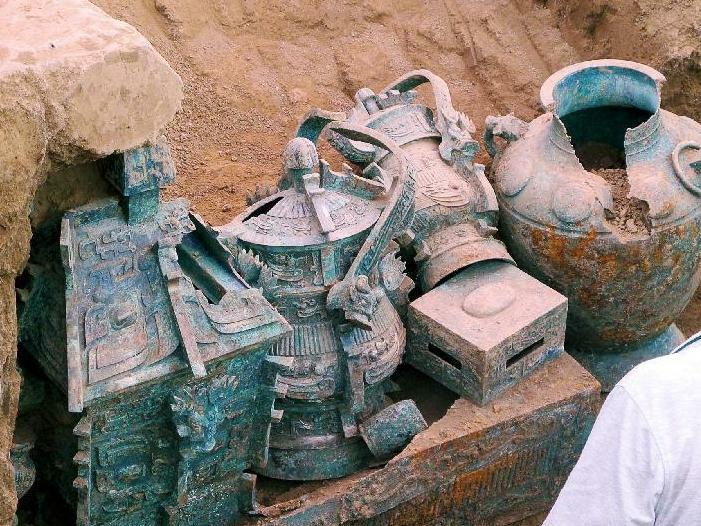 The announcement was made after experts studied the artifacts retrieved from the tomb of a nobleman from the West Zhou Dynasty (1046 BC - 771 BC) in Shigushan Mountain of Baoji City. 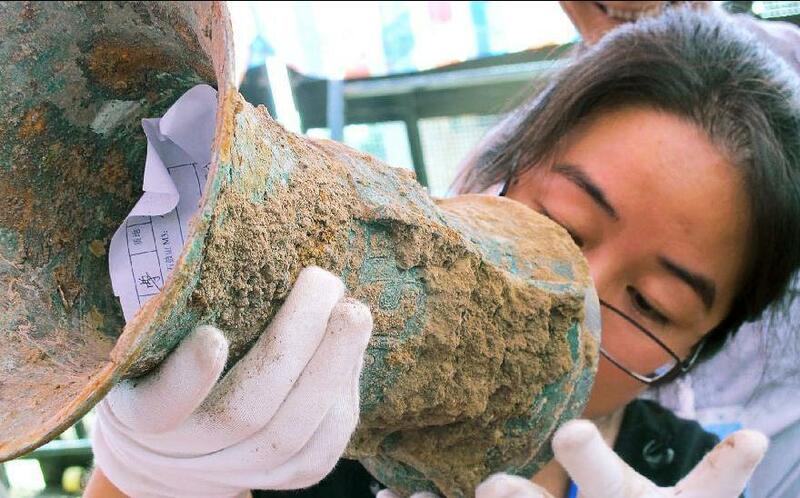 Liu Junshe, head of the excavation team, said the discovery filled in a blank in China's early military history, as excavations of pieces of armor forged during or prior to the Qin Dynasty (221 BC - 206 BC) have been rare. "The material of the 'armor' on the famed Terra Cotta Warriors has long been a mystery, but the pieces of armor found this time were forged hundreds of years prior to the Qin Dynasty-era underground army," Liu said. Liu said the cuisse, or piece of thigh armor, was 29 cm in length and tube-shaped, while the two cuirass pieces, or upper-body armor pieces, measured 23.5 by 10 cm and 40 by 21 cm. Both had mortises to connect to each other or with the leather parts of the armor. A bounty of bronze weaponry, wine vessels and other sacrificial objects were also unearthed along with the pieces of armor, suggesting that the tomb owner had been a high-ranking aristocrat and general. The tomb cluster in Shigushan Mountain was discovered last year by some local farmers. Archaeologists found a wine vessel in another tomb. 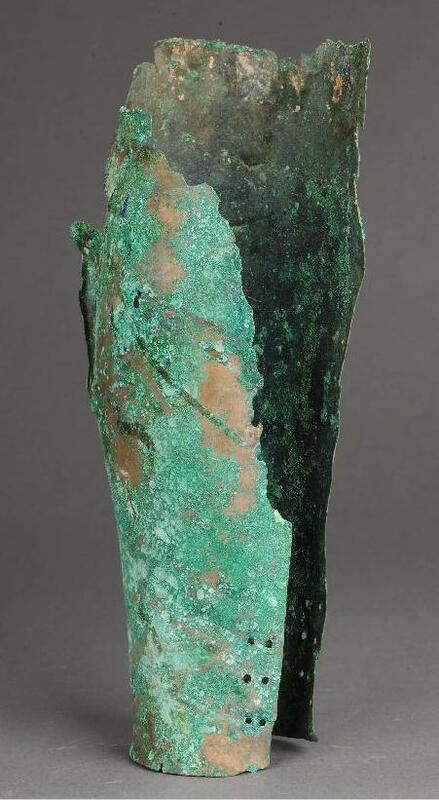 After being excavated, it was found to contain the oldest wine ever found in China.